All Vehicles more than three years old require an annual MOT Test certificate to check the safety of the vehicle. Walton Car Centre can carry out MOT Testing on both Class 4 and Class 7 type vehicles, this includes Cars, Vans, Motor Homes and Light Commercials up to 3500kg. Our service is prompt, efficient and convenient. You can leave your vehicle, or wait in our reception area where you can view your vehicle’s MOT Test throughout. On hand are our Skilled Technicians, available to explain any defect or advisory items found during the MOT Test and discuss the appropriate recommendations. Here at Walton Car Centre in Liverpool we have a wealth of experience in the motor industry and we’ve been MOT testing vehicles for many years. We carry out MOT tests on all makes and models on both petrol and diesel vehicles in conjunction with strict Driver and Vehicle Standards Agency (DVSA) requirements. You can check the MOT status of any vehicle that you own, or are considering buying. It is the owner’s responsibility to ensure the vehicle is examined every 12 months. 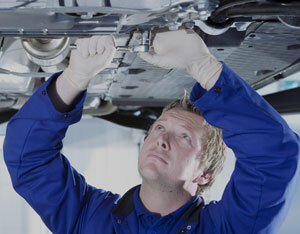 You need to use an approved MOT test centre to get your MOT. You can’t drive your vehicle on the road if the MOT has expired. You could be prosecuted if caught. Please note: An MOT certificate only relates to the condition of testable items at the time of the test. It should not be regarded as evidence of the condition of the items tested at any other time nor should it be taken as evidence of the general mechanical condition of the vehicle. Make sure your vehicle is roadworthy with a yearly MOT test. Complete the form below to book in your MOT and we will be in touch within 24 hours to confirm your appointment.